A Grimsby-based fish processing company has been sold to meat supplier Hilton Food Group in a deal worth £80m. 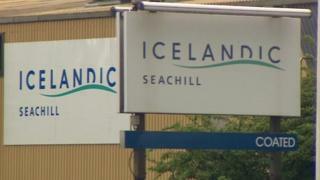 Icelandic Group's Seachill subsidiary, which owns the The Saucy Fish Co brand, employs more than 700 people at its sites in the town. Founded in 1998, the company is one of the leading fresh fish processors in the UK. It is the first time Hilton, an international meat packing business, has entered the fish supply market. The Cambridgeshire-based company called it a "strategically and financially compelling" move for Hilton. Simon Smith, chief executive of Seachill, said: "I expect the sites to expand, I expect there to be a combination of investment in people and technology as well as new areas of business. "We don't know all of the detail yet, but it's very hard to see a downside".